When will be Big Problems, Big Thinkers next episode air date? Is Big Problems, Big Thinkers renewed or cancelled? Where to countdown Big Problems, Big Thinkers air dates? Is Big Problems, Big Thinkers worth watching? 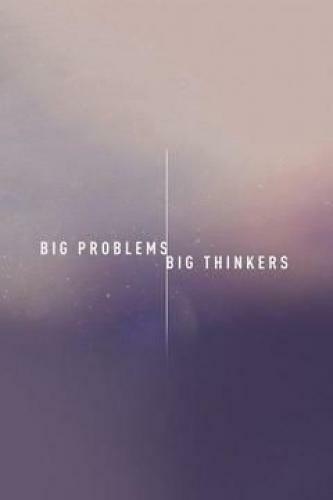 Bloomberg, in partnership with broadcast journalist Terre Blair, presents Big Problems, Big Thinkers, a six-part interview series focused on major challenges confronting humanity today. Featured guests include Warren Buffett, His Holiness The Dalai Lama, Madeleine Albright, Ted Turner and many more. Climate change is now recognized across the globe as a threat to our future. Terre Blair asks, Will we have the will to act on the solutions at hand? Terre Blair examines the fallout from the 2008 world financial crisis that reverberates to this day, asking if we have made the kinds of deep change needed to mitigate the next market shock? As some economies become ever more successful -- and others are left further behind -- Terre Blair explores the question of whether it's time to redefine the nature of success, of life truly well lived. Big Problems, Big Thinkers next episode air date provides TVMaze for you. EpisoDate.com is your TV show guide to Countdown Big Problems, Big Thinkers Episode Air Dates and to stay in touch with Big Problems, Big Thinkers next episode Air Date and your others favorite TV Shows. Add the shows you like to a "Watchlist" and let the site take it from there.